Mortgage servicing rights have a value ceiling. Refinancing rates are as low as they can go. New Residential (NRZ) is a mREIT that has seen success. In fact, the entity has seen so much success that there isn't much room for growth. New Residential isn't a company that can continue to grow by selling products or services. New Residential is only as good as the securities it holds. New Residential can grow its mortgage origination practice, but for the most part, New Residential has reached its climax. New Residential is a pricey mREIT. This isn't materializing from nowhere. New Residential is one of the few mREITs that has performed exceptionally well with rising rates. Majority of investors use price to book as a valuation metric for mREITs. As you can see here, price to book is already reaching multi-year highs. There is nothing too complicated about this. Book value per share has risen slower than the price of the stock. The slowing growth of book-value brings me to my next topic. 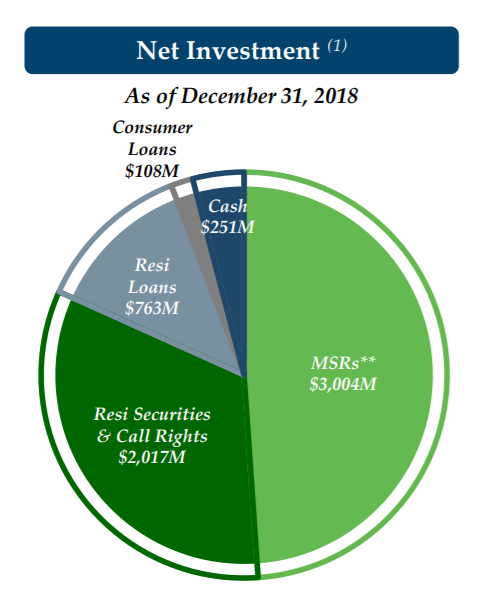 New Residential is largely comprised of mortgage servicing rights (MSRs) and residential mortgage-backed securities (RMBSs). First, a quick refresher of how MSRs work and the risks associated with them. In short, whoever services the mortgage collects a fee (usually around 30bps). Servicing includes collecting payments, dealing with delinquency, as well as other duties. As the entity is servicing, the mortgage collects payments, they give the payments to a Government Sponsored Entity or GSE. The GSE then turns around and distributes cash to the holder of the mortgage-backed security related to the mortgage being serviced. New Residential is required to make payments to the GSE regardless if they collect payment from the underlying mortgage or not. This results in an account called servicing advances. This means money is essentially loaned to the GSE. This loan is of very high credit quality, however, it does impact liquidity. 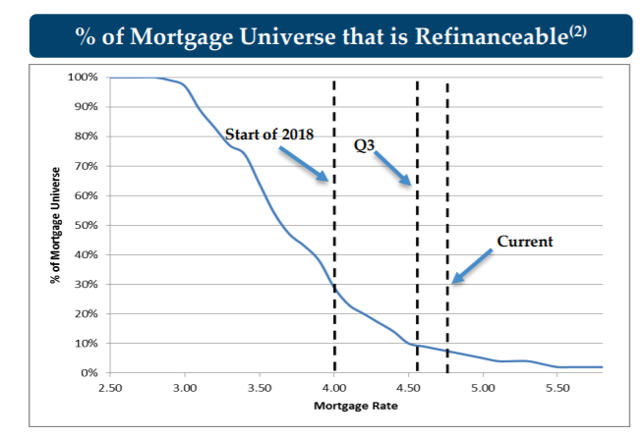 If many different mortgages fall delinquent and New Residential has to keep paying money to the GSE, it could mean lower performance and even a liquidity crisis. MSRs are priced mainly depending on prepayment rates. If mortgages live out their full life (potentially up to 30 years). Then that means the entity servicing the mortgage collects more cash. If the mortgage defaults or refinances, then the cash payments stop coming. MSRs usually increase in value during a rising rate environment because refinancing goes down. New Residential also holds RMBS. Over 90% of these are on a floating rate, which means they increase or decrease cash flows based on interest rate movement. New Residential's performance is quite incredible. Servicing advances are rock bottom. Servicing advances can't get much lower. This floor can be seen in refinancing as well. At current interest rates, only about 10% of mortgages are able to be refinanced according to New Residential. This is great because MSRs will be high in value, but this doesn't leave much space for growth. MSRs are unique because their value can be capped in a sense. Prepayments can only sink so low as well as servicing advances. 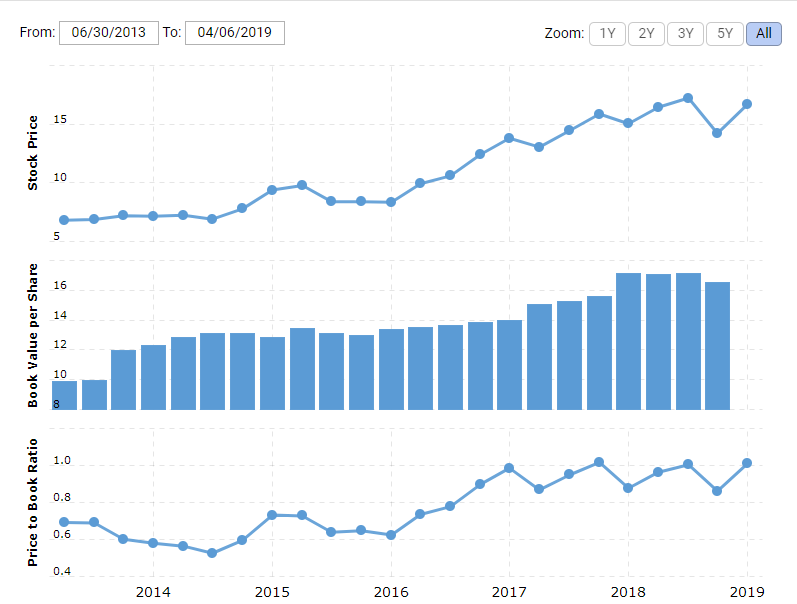 Also, opportunity to purchase more MSRs become more expensive because the price has increased. I'm hoping the title of my article makes more sense now. On top of this, New Residential's other major holding is RMBSs with floating rates. If interest rates drop, then cash flows will decline. New Residential is a great mREIT that has innovative management. They capitalized in a rising rate environment by acquiring MSRs. This strategy has proved well over the past few years, but the potential for growth has reached its climax. If rates continue to rise, New Residential could see modest gains. The risk is that rates fall and New Residential takes a major hit. If rates decrease, cash flows shrink, liquidity deflates, and book value declines. Already, the economy has shown signs of weakness. In my opinion, New Residential has reached the point where the risks outweigh the benefits. At least at the current price.